Are you interested in contracting opportunities with state agencies and institutions? 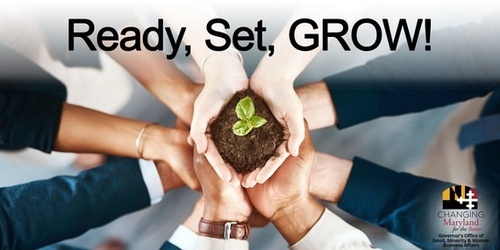 If so, then our Ready, Set, GROW! Procurement Connections Workshop is for you. Join us for an overview of how our small, minority, women, and veteran procurement programs work. You'll learn what buyers are looking for right now and what's in the pipeline, then meet with them one-on-one during the open networking session. You may also connect with a variety of resource partners who can help your small business thrive. Who should attend? Small, minority, women, and veteran business owners interested in doing business with state agencies in Central Maryland and the surrounding areas. Registration required; Free parking directly across the street from the main building.